Only those with big goals can achieve big results. “If I had asked people what they needed, they would have said ‘better horses’”. Luckily, Ford didn’t ask. Instead, he realized his ideas and simply acted. Today, the introduction of mass production, which he influenced massively with his developments, is called the second industrial revolution. We, too, think differently. We, too, think new. We define ourselves as a leading competence and transfer center for the demonstration and development of innovative automation technology. In our work, we concentrate on the application of modern information and communication technologies. We pursue the goal of defining, exploring and shaping the intelligent factory of the future – together with our partners. Our Smart Factory is modular, digitalized, lean and application-oriented. Every day, in our work, we strive to realize this vision – in research and practice. We derive our research road map from this vision. At the same time, our vision allows us to define topics, on which we work together with our partners in our Working Groups. What is your vision of the factory of the future? Contact us and let us work on it in joint collaboration! The plant provides all disciplines (mechanics, electronics, and informatics) with the required components at each level (from control terminals to the ERP system) to enable Plug-&-Produce operations. As a result, the plant can be flexibly adapted to meet new requirements within a minimum of time and effort. 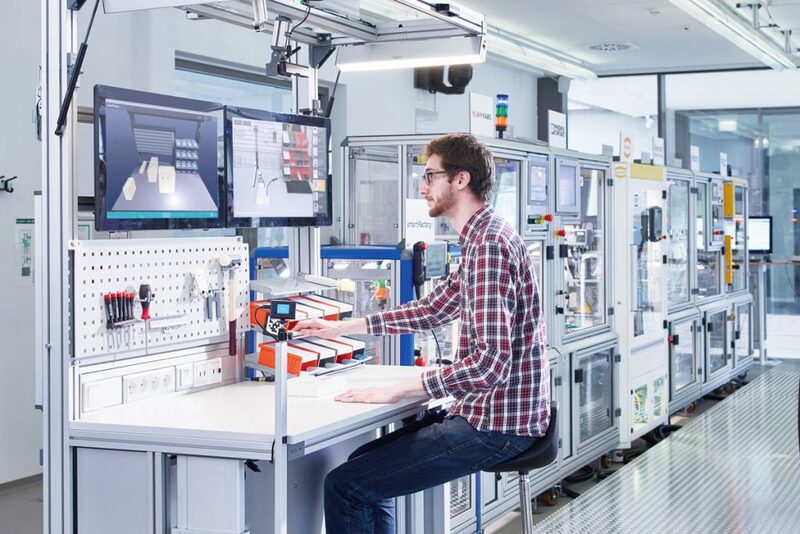 Everything in the plant is networked – whether a person, a machine, or the software – which enables comprehensive and reliable communications, which means that factory operations are truly “smart” and autonomous. Our solutions are based on the latest technologies. We provide answers to questions from industry, respond to current problems in practice, and develop promising new business models. 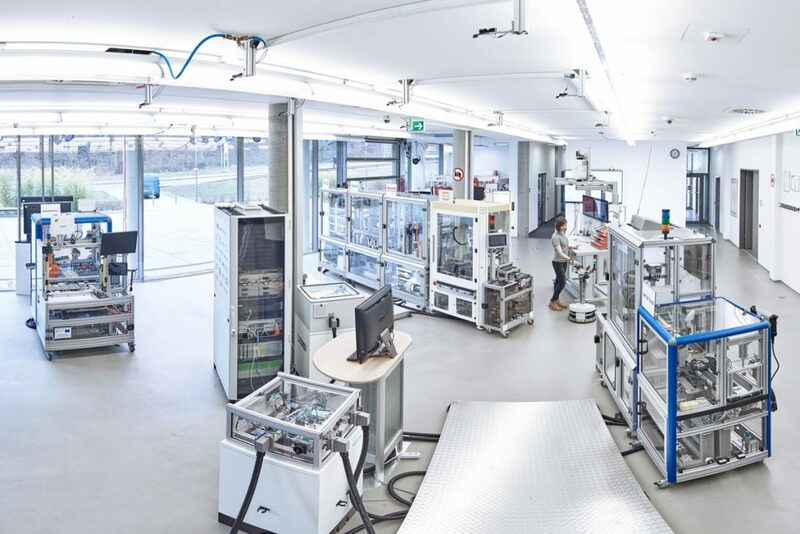 It is our goal to make our Industrie 4.0 production plant as lean as possible. This means that we want to implement aspects of digitalization only where it truly makes sense and adds value. This should be done technologically as lean as possible and allow for an easy integration into environments organized according to lean criteria. 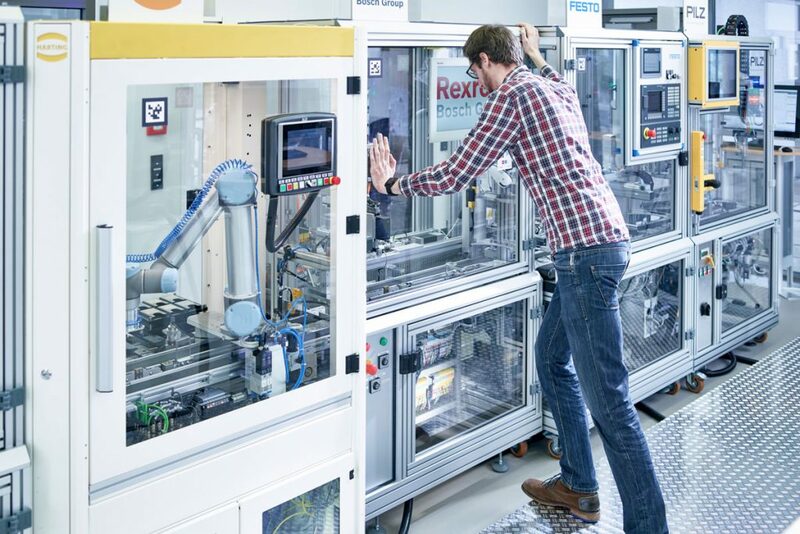 We call the integration of lean aspects into Industrie 4.0 environments “Lean Automation”.